Activists demand rapid completion of intellectual property policy six years in the making; without internationally recognised public health safeguards policy will be health disaster. 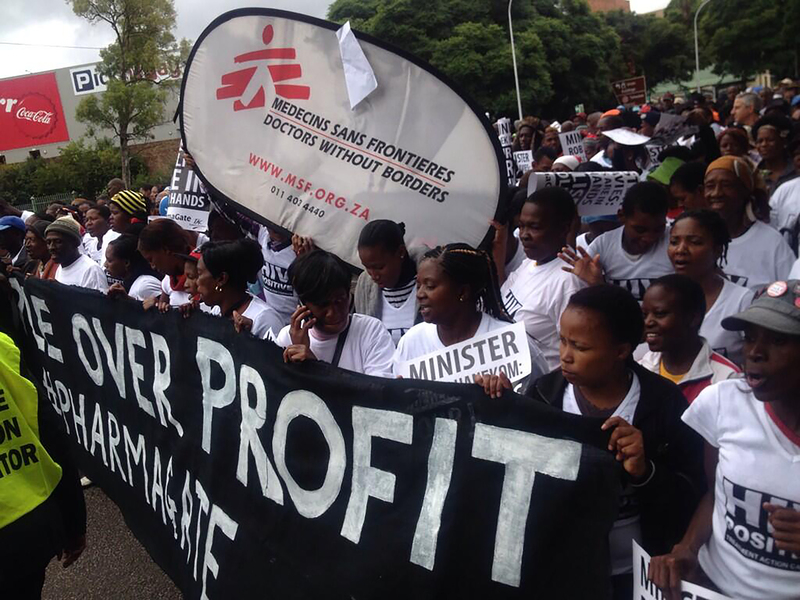 Pretoria, 11 March 2014 — Marching to the South Africa Department of Trade and Industry (DTI), the Treatment Action Campaign (TAC), Médecins Sans Frontières (MSF) and SECTION27 led 1,000 health activists to demand the finalisation of a National Intellectual Property (IP) Policy before the general elections, to provide South Africans better access to the drugs they need through legislative reforms. “It’s been six years since the Department of Trade and Industry started work on the IP policy and we cannot wait any longer. DTI has to keep to its promise to complete it by April – before the elections on 7 May – so the laws can start to change. We cannot afford to keep lining the pockets of international pharmaceutical companies at the expense of South Africans who need vital drugs,” says Andrew Mosane of the Treatment Action Campaign. Today, South Africa registers any patent for which the paperwork is filed and fees paid, rather than examining applications to assess whether they meet innovation criteria. This means an excessive number of drug patents are granted. Pharmaceutical companies exploit the system by making minor changes to medicines that are already on the market, in order to gain additional 20-year patents that block competition by affordable generic versions. Patented medicines in South Africa can cost up to 35 times more than in countries like India, where robust generic competition exists. In the private sector high prices mean medical aid schemes can refuse to fully reimburse expensive treatments – even critical drugs for treating cancer – because it would raise premiums for all members. In the public sector the Department of Health is worried about the 2.4 million South Africans on antiretroviral treatment and the affordability of much needed second-line and third-line ARVs as more people develop resistance to first-line drugs. Providing this second-line HIV drug lifeline is more than double the cost of affordable first-line drugs, while third-line treatments are 15 times more expensive. “To combat growing epidemics such as drug-resistant tuberculosis, diabetes and cancer – where a single drug can cost several hundred thousand rand to treat just one patient – the laws on our books need to facilitate access to lower-cost generics. Right now, insulin to treat diabetes, breast cancer treatment, oral contraceptives, and other vital drugs can cost more in South Africa than in India, China, Japan, and sometimes, even the U.S. or Europe. 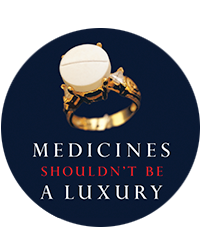 When medicines are unaffordable, people pay with their lives,” explains Julia Hill of MSF. In January multinational pharmaceutical companies in South Africa were exposed for their intent to subvert reforms proposed by the DTI that could undercut their exploitative prices. One of the most critical reforms for the DTI to include in the final version of the policy is the establishment of a patent examination system. “Other ministers must support the DTI in their IP reform efforts. Particularly Minister Derek Hanekom of the Department of Science and Technology. His department will recruit and train patent examiners to ensure a successful examination system that upholds high medical innovation standards,” Mosane notes. “We support Minister Rob Davies and his team in the DTI in doing what is morally right, but also in taking measures to increase access to healthcare as required by the Constitution. We urge the DTI not to bow to industry pressure to delay, or weaken the National IP Policy. We also demand that Minister Hanekom support the DTI in the same way as the Minister of Health does, to guarantee the final policy can be successfully implemented,” says Mark Heywood of SECTION27.